The apple plateau near the two villages of Naz and Sciaves lives up to its name thanks to the mild Mediterranean climate. 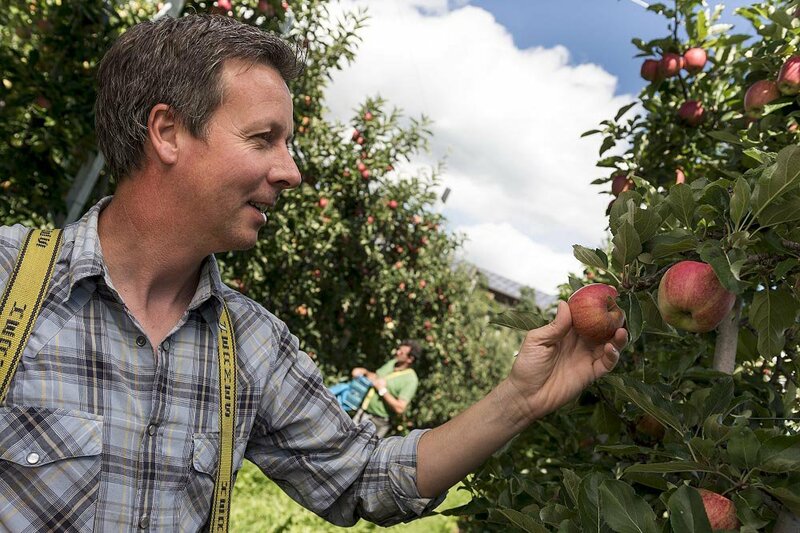 As the largest orchard in Europe, every year in the spring, the sunny plateau literally disappears under a cover of millions of red and white flowers produced by thousands of apple trees. 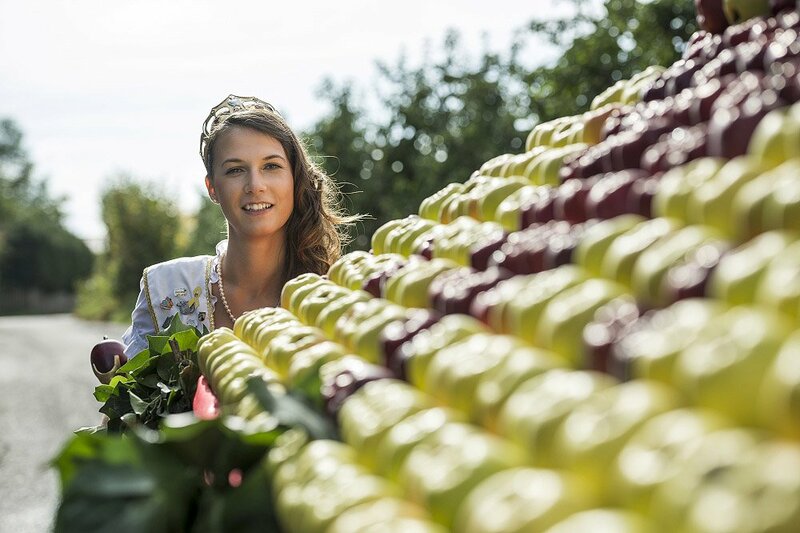 Every year, the Apple Blossom Festival celebrates this marvellous event with colourful parades headed by the ruling apple queen, attracting locals and tourists from all over the country. 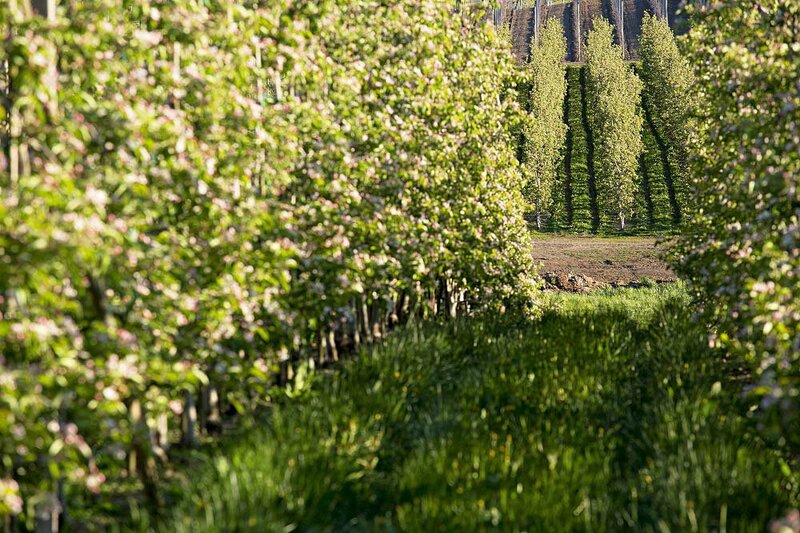 In April and May, the apple plateau in Naz/Sciaves shows its most romantic side, when the fragrant trees line up along the walking and hiking trails. 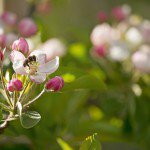 During your apple and flowers hikes, you will discover not only fruit trees but also lush meadows and quiet woods. 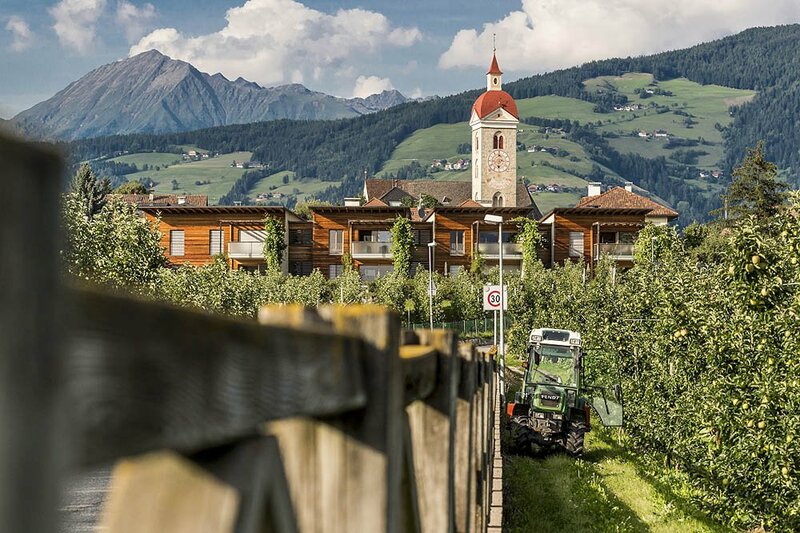 In the summer, the apple plateau with its apple orchards and meadows is nestled in lush greenery. Long walks will now take you to the nearby lakes or into the mountains. 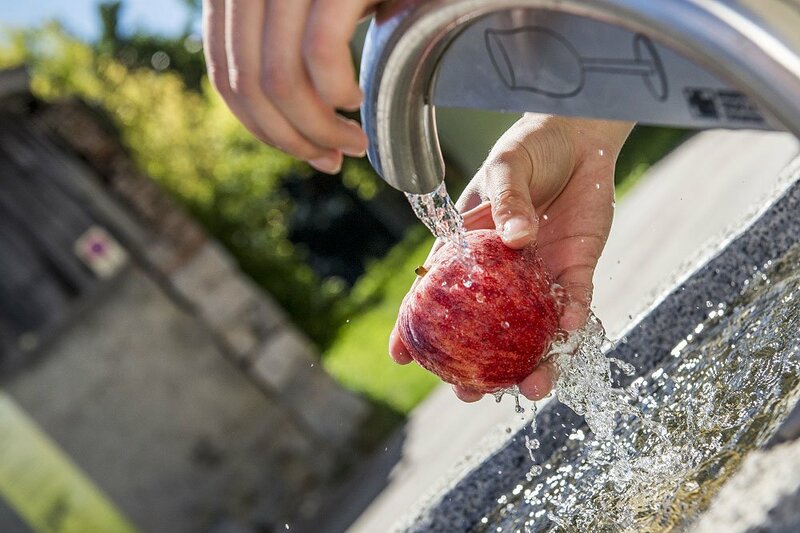 With an average of 300 sunny days a year, on the apple plateau the weather for recreational activities in the open nature is usually perfect. In the autumn, the sweet fruits dominate the apple plateau in Naz/Sciaves. Over the summer, the millions of flowers have turned into juicy apples, which expert farmers, chefs and bakers will then transform into all sorts of creative culinary delights. The annual Apple Festival in the autumn celebrates the apple harvest, inviting you to enjoy apple pie, apple juice and fried apples.